Mixed commercial / residential zoning, just waiting for your vision. With lofted bedrooms, baths, and even a commercial kitchen already in place, a few modifications could make this an ideal live / work unit for any enterprise. Or, build a separate dwelling (with potential ocean views) on the expansive 3.3 acres. Located across the street from the community hall and playground in the heart of downtown Denman, it is an easy walk to the school, health clinic, and other amenities. Formerly the Rawganique head office, this unique property boasts over 3500 sq ft of warehouse, retail and office space, and must be seen by anybody with a vision, and desire to make their home in this safe and peaceful island community. 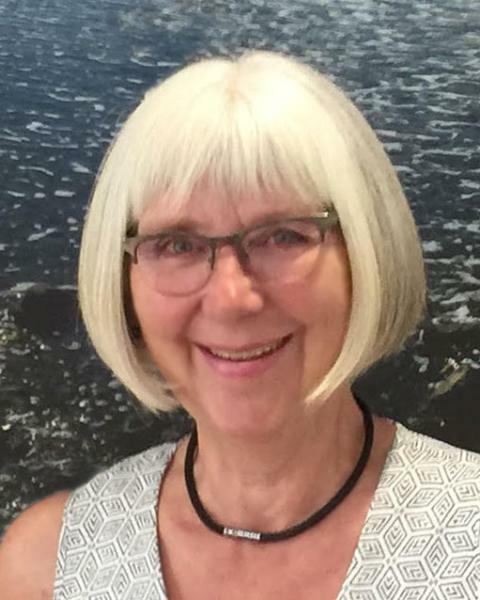 Bente Pilgaard is the resident Realtor, Owner, and Managing Broker of RE/MAX The Islands on Denman Island. With a background in design, education, conservation, and real estate development, Bente combines 45 years of service-oriented business into a unique and personalized experience for her clients.Working diligently to further her clients’ real estate and lifestyle interests, Bente demonstrates the highest degree of integrity and professionalism. Rooted in her Danish cultural values of thrift and common sense, Bente’s sales philosophy is to achieve the highest possible value for her clients, and to support them in every step of their real estate experience. Her intense passion for, and knowledge of, the local communities makes Bente your real estate agent of choice, whether buying or selling a home on these beautiful islands. Bente did an exceptional job selling our house. She was tireless, diligent and conscientious about marketing our property with no challenge too big for her. Bente is a great listener and skilled negotiator, she was responsive to situations as they came up. Her knowledge, dedication and dependability are what put her above the rest. We can recommend Bente Pilgaard to any buyer/seller, she really worked hard on our behalf from day one and throughout. - Lorne J. Hofseth, Ph.D. Situated on beautiful British Columbia’s west coast, Denman Island is one of the northern Gulf Islands, part of a vast and unspoiled archipelago in the Straight of Georgia. Protected from harsh weather and strong currents by Vancouver Island and the Beaufort Mountain Range, Denman is surprisingly easy to access by boat, car ferry, or air. Featuring sandy beaches, rocky coves, lush forests and open, rolling pastures, Denman Island provides ample opportunity for outdoor adventure. The parks and nature reserves feature plenty of hiking trails and beachfront suitable for swimming, kayaking or fishing. The Island’s bird, deer, otters, mink and beaver population is prolific. Hornby Island is located at the northern end of the Strait of Georgia, a geo-climatic zone of lower precipitation, protection from Pacific winter storms, and a longer growing season for the garden enthusiast. The blue circle drawn on the map represents the area which is most likely to contain listings comparable to Lt B-1151 Kirk Road. If you wish, you may adjust the circle by dragging the white center handle to move it, or dragging one of its other white handles to resize it. Press the 'Next' button at the top when finished.